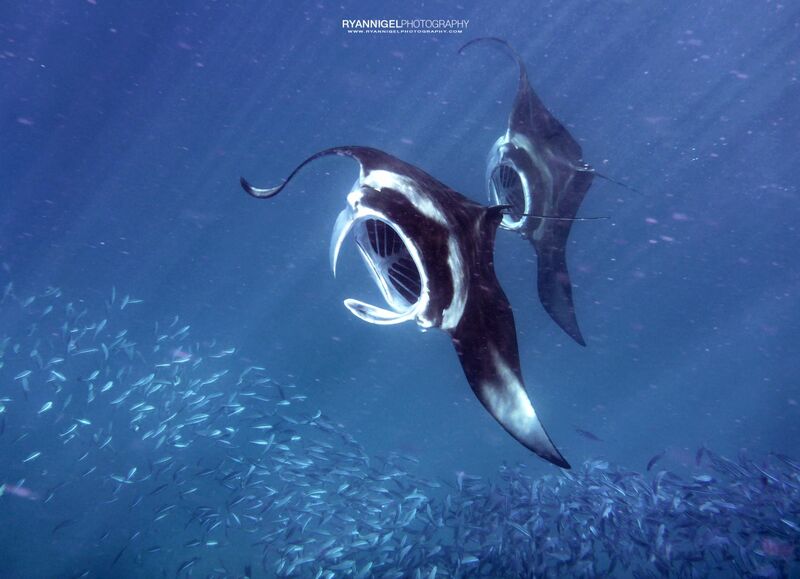 My Manta Ray Experience. I just had to share this on my website. 🙂 I mean, i am a diver and I had some very nice encounters with manta rays, whalesharks and other big underwater stuff. But this experience was one of a kind. Not with diving but with snorkeling ! 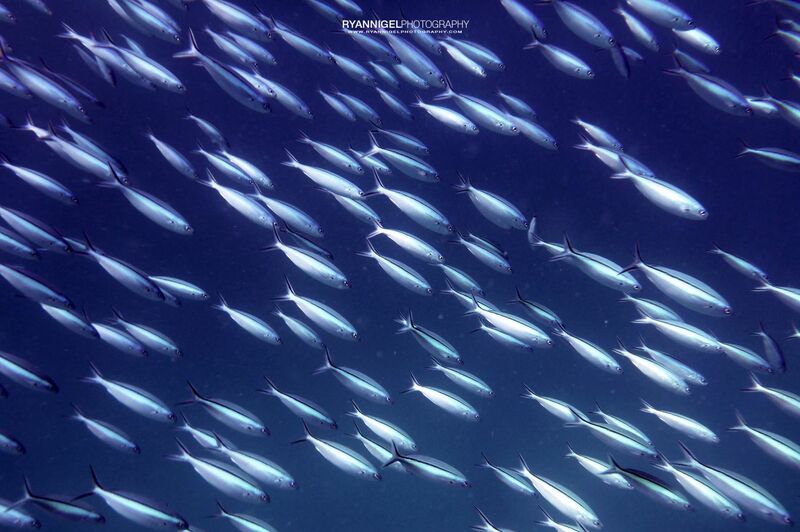 While snorkeling we ran into a huge school of small fish. Looked like small sardines or similar stuff. 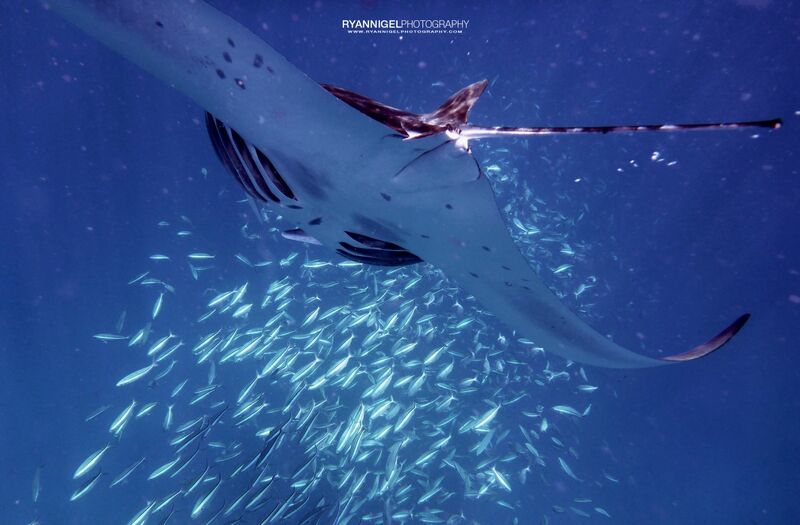 Anyway, while swimming snorkeling through that immense school of fish, a manta ray popped up just out of the blue ! And if that wasn’t enough a second one came right after it !! Man i was screaming ! 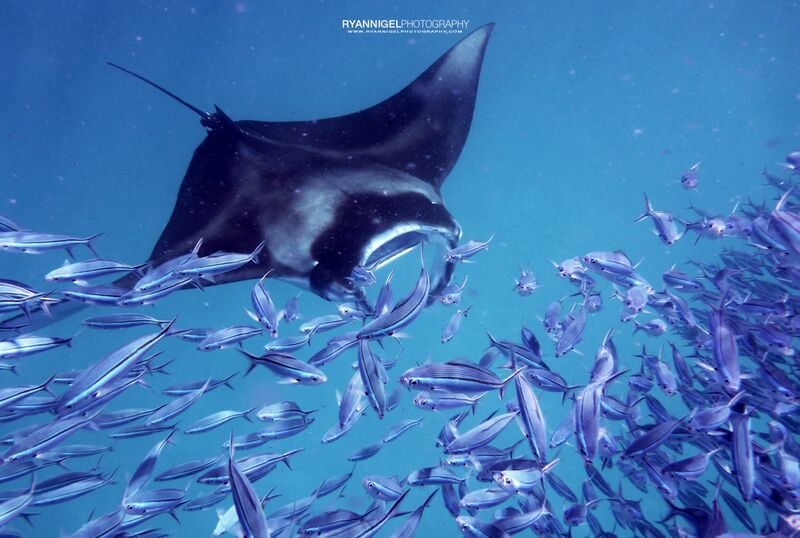 And those manta’s went for that school of fish. 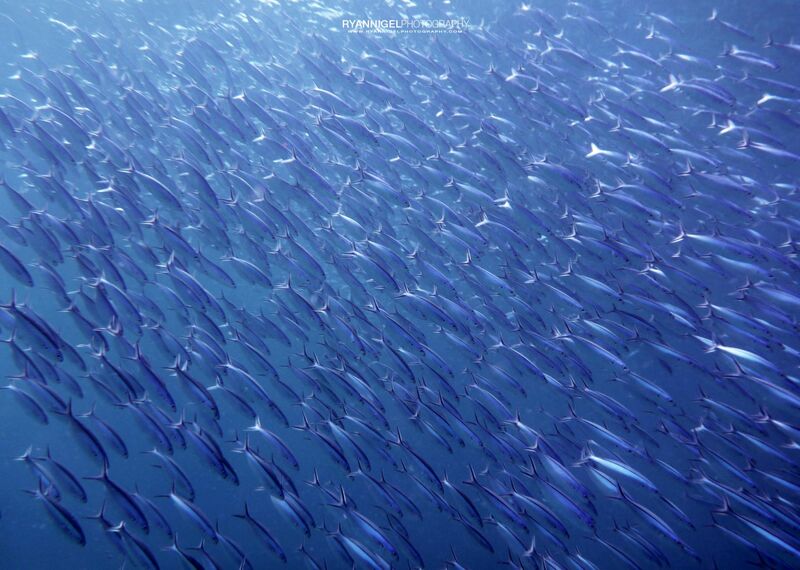 Hey a school of fish…. 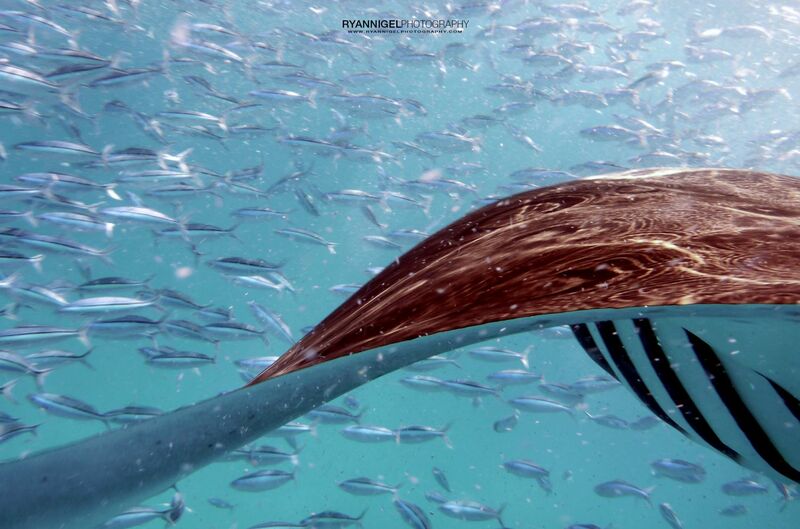 That’s a manta ray ! 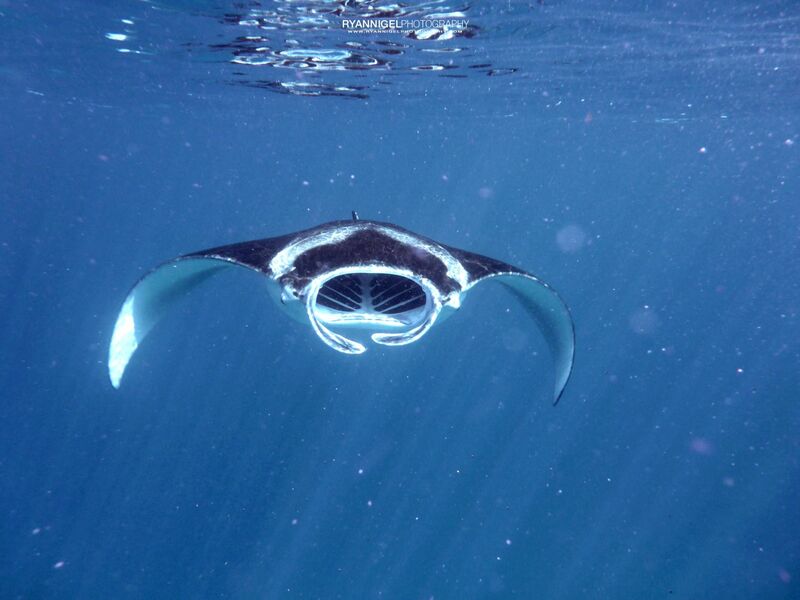 That is a another manta ray ! And they are feeding like crazy !